Manchester UTD welcome surprise package Burnley to Old Trafford on Boxing Day, aiming to bounce back from the disappointment of conceding a last-gasp leveller at Leicester on Saturday. 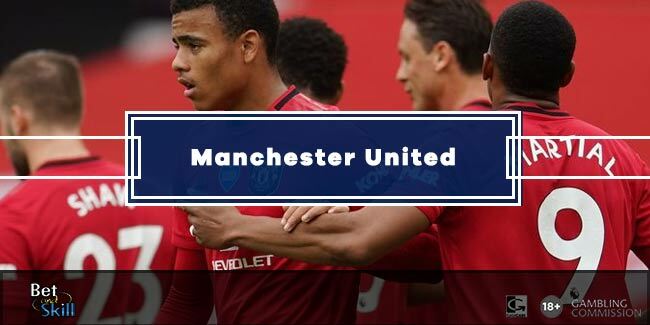 Read here our Man UTD vs Burnley betting preview with free predictions, betting tips, probable lineups, team news, best odds, bookie promotions and no deposit free bets on Boxing Day's matches! Manchester United fell 13 points behind league leaders Manchester City after a disappointing 2-2 draw at Leicester last Saturday, a game they should have won by three or four. It's the biggest points gap between first and second at Christmas in English top-flight history. The Red Devils have won 9 of their last 10 home matches, keeping 8 clean sheets in the process. In the most recent direct encounter, first half goals from Anthony Martial and Wayne Rooney handed United a 2-0 win at Turf Moor towards the end of April. Chris Smalling picked up a groin problem against Leicester and is a major doubt. Elsewhere, Antonio Valencia missed out last time out due to a hamstring injury and is unlikely to return. With Eric Bailly and Matteo Darmian also sidelined, Luke Shaw could start at left-back with Viktor Lindelof on the other side, and Marcos Rojo and Phil Jones as centre-backs. Up front, Juan Mata will retain his starting berth after scoring a brace at the weekend. The Spaniard will complete the offensive midfield trio behind Romelu Lukaku, alongside Marcus Rashford and Jesse Lingard. The likes of Nemanja Matic and Paul Pogba will anchor the midfield. Burnley are enjoying a remarkable campaign so far under the tutelage of Sean Dyche as they sit 7th in the table standings just three points behind fourth-placed Liverpool. The Clarets are reeling from a rare home defeat, 3-0 against Tottenham, a result that double the amount of goals conceding at home this season. Prior to that, they were unbeaten in three matches - beating Watford and Stoke 1-0 at home before a goalless draw at Brighton. Chris Wood was forced off with a knee injury last time out and is a major doubt for this trip. Ashley Barnes is expected to start as lone forward, while Sam Vokes is the other option available to Sean Dyche in attack. Jonathan Walters returned to the bench against Spurs and may be handed some minutes at Old Trafford. Jeff Hendrick is set to continue in a central support role in a 4-4-1-1. In defense, James Tarkowski misses out as he serves the second game of a three-match ban. Tom Heaton and Robbie Brady are long-term absentees, while left-back Stephen Ward is still out with a knee problem. "Manchester UTD vs Burnley predictions, betting tips, lineups and odds (Premier League - Boxing Day 2017)"